Rather than totally eliminate the use of Secondary Natural Products from my writing agenda or changing its traditional meaning, I developed a system to define these plants products as Levels 1 through 4. This mimics the primary, secondary, tertiary and quaternary method of classifying products, and allows us to avoid the possible conclusion these terms could have due to the historical association of the term “secondary products” to all non-primary products, and the association of terms tertiary and quaternary to structural forms in proteins. The following are these four levels. Primary products are termed a Level 1 product. Secondary Natural Products primarily developed as some sort of adaptation to the environment in terms of a passive competition (improvement of self, without increasing the risk of the other) are termed Level 2. Level 3 products are those secondary products that assist in the local ecological setting. These can include toxins design to prevent feeding, growth inhibitors designed to target immediately competitors, attractants for assisting in the pollination process, etc. Level 4 compounds are those with a human ecology aspect to them. There are some tertiary or level 3 chemicals that serve both natural and human ecological situations–for example, the toxic steroidal ingested when the blue jay eats the monarch butterfly serves as a heart medicine for mankind. Ecologically important natural products are perhaps the most complex types of plant chemicals. They range from non-toxic to toxic in nature, and are capable of working at numerous levels within a complex ecological setting. Ecologically evolved products are different from environmentally-produced chemicals in that the ecological product infers some sort of interaction is taking place between the plants that are producing them and other organisms. Whereas environmentally-produced products involve organism-environment interactions only (or at least for the most part depending upon secondary benefits that evolve), without concern for other organisms, neighbors, competitors, etc. , ecologically important chemicals exist because of these interorganismal relationships that exist within the given environmental setting. A good example of comparing and contrasting environmentally-induced versus ecologically-induced chemical evolution involves the value of cellulose, lignins, and tannins. These are three classes of chemicals that are very basic to the plant world. They were evolved fairly early in plant evolution, and are products of some of the most basic types of chemical evolution pathways that exist. Cellulose for example is the product of a polymerization reaction involving a basic essential class of primary products–the sugars; for this argument cellulose is just a tag along in the argument. Lignins are a product of the lignan pathways. Tannins are a polymerized phenolic products (the flavo-tannins are derived from a completely different pathway and are not included in this discussion). Lignins are produced in order to combine with cellulose and produce a stronger structural feature in plants. Although the presence of lignin does offer a plant a competitive advantage over the plant next to it without lignin, this presence of lignin does not directly interfere with the competitor. It offers its producer an advantage however without directly requiring the plant that produced it to actively intervene or directly alter or infringe upon its neighbor. The environmental value of lignin pertains to structural features and strengths–protective mechanisms that these compounds are responsible for. The ecological value of a lignin relates to the value this new feature has in terms of competition and survival benefits. In some plants, lignins and their precursors the lignans go hand in hand. The lignan serves as a chemical defense mechanism due to some form of toxicity it possesses, during the period it is not bound to a structural feature like the lignin path it is incorporated into and thereby made chemically less reactive to other organisms (less toxic). Tannins on the other hand offer an advantage due to their non-structural, directly protective impacts; they interfere with an important part of the ecological process–direct competition and a direct survival threat related to neighbors. With tannins, the competitor, like a fungus, bacterium or virus, is less likely to be able to infect and inhabit that plant’s tissues, and ultimately cause its death. With tannins, a plant can make itself more likely to prevail in any competition by altering local soil chemistry following its introduction into nearby soils due to defoliation and other natural breakdown methods. Tannins preserve a plant’s growing environment by modifying soil chemistry. Due to “taste” or palatability, tannins prevent possible herbivore activity. Although lignins could also be argued to be effective anti-herbivore substances, making it harder to eat the plant that is producing it, this is not its primary reason for production. It is harder to eat a tree than it is to eat a frond or blade leaf, but still, there are edible young parts that can be eaten on a plant rich in lignins. So this form of protection is not the primary reason for lignin development and does not always exist and work as such in a plant. This is not the only reason the plant prevails in the competition usually when it develops lignin. Exploring the possibility that lignin evolved simply because it is antifeedant, if we consider some early stages in evolution, such as the development of plant groups around the period in which Lycopodiales were developed, we see this kind of competition-related feature playing a major role–the lignin-rich orders and classes of paleobotanical fame (tree ferns, cycads, lycopod-trees) demonstrate some of these lignin-related antiherbivory advantages. But usually, the primary advantage lignin provides a plant with is more structural in nature. Lignin only works when the tissue containing it is in a mature state; lignin offers no real advantage to the very edible youngest parts of a plant. 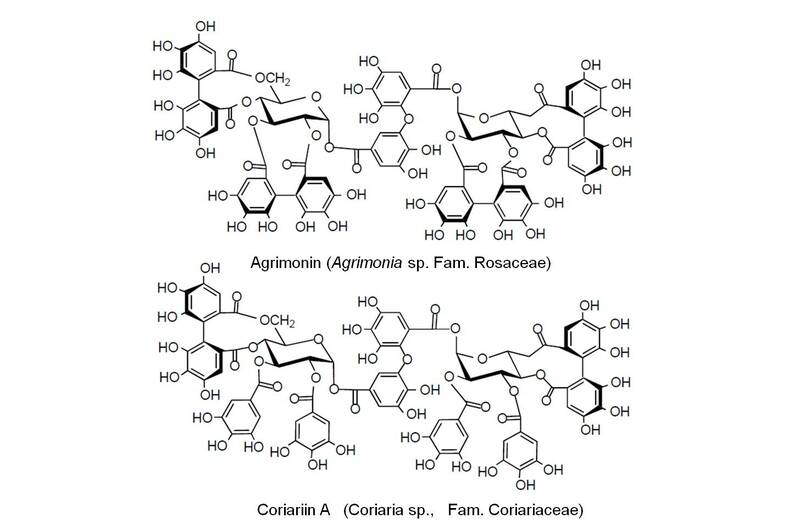 So, a lignin is considered to be pretty much a structural adaptation co-evolving with the development of new methods for better utilizing cellulose. We can apply this same line of reasoning to polysaccharides development. With basic sugars as the building blocks for this pathway, there are a number of major pathways that sugars can follow in the evolution of new uses for the plant. The first is simply a continuation of the modification of the nature of the saccharide itself, by the addition of small side groups, the elimination of a hydroxyl (-OH) group, the addition of an -O-Acetyl group, or the combining of the sugar with another natural product to form a glycoside, such as a simple organic acid–salicylic acid–producing the glycoside salicin in Salix or spirin in Spiraea. This modification of a very small molecule like sugar usually results in an ecological advantage, not any structural advantage, although it is possible for a small organic acid to serve as an important intermediary in the development of complex polymeric structures in need of strengthening the weak ionic bonds that they depend on (polar hydrogen-bonding like activities related to structural hydrophilic and hydrophobic conditions). The second kind of saccharide pathway relates to oligosaccharide production. Oligosaccharides are those short chains polysaccharides, usually with 5 to 9 sugars in a chainlike structure, with some sugars existing as oddities like the odd-carbon saccharides and odd hydroxyl group bearers rhamnose and verbascose. These are not just sugar-storage features. They offer the plant an evolutionary advantage in some way. Examples of these in the Fabacaeae (legumes), where these exist in legume pods and the starch of the bean; these chemicals benefit the plant by preventing or reducing fungal and bacterial growth, resulting in important protective effects. These compounds can often shown to be working specifically against certain physiological-biochemical processes that these microorganisms depend upon. These saccharides modify the palatability of the starch that a plant might bear when it comes to feeding by larger organisms. These oligosaccharides are also responsible for the most part for protection against some of the unique environmental stressors with ecological ties. The most effective and useful oligosaccharides are not only targeted in their effect upon competitors or agents/organisms acting against their likelihood for survival, they are also selectively toxic. A third kind of polysaccharide path with structural and non-structural end products is the mucopolysaccharide path responsible for the development of cellulose and hemicellulose (esp. in algae), as well as the development of simple starches, complex starches serving as a back-up food source, mucopolysaccharides, which serve mostly as structural features, and complex mucopolysaccharides, which act as structural components as well an ecologically-protective features. Whereas cellulose is mostly structural, and simple starches nutritional (a primary of physiological end product), complex starches like the mucopolysaccharides consist of modified sugars in their polymeric chains (no longer just simple glucose and fructose, but also mannose and the like), responsible for modifying their hydrophilic behaviors and turning them into less physiologically digestible nutritious polysaccharides (they often require different enzymes) and more physically important structural substances (a Level 2, secondary product). At the ecological level, very common examples of these like pectin are partly involved in structural advantages at the cellular level, but are more important at the tissue or organismal level as protectants. Injuries in plants that result in their release enable them to serve much like the coagulation, clotting cascade that blood goes through in animals. In most cases, these mucopolysaccharide products have additional chemicals in them making them very much a Level 3 compound, with evolutionary advantages developed through natural selection processes. Somewhere between the naturally selective mucopolysaccharide and the traditional cellular structural version of the mucilage is the self-targeted natural selection need for mucopolysaccharides of a combined level 2 and level 3 nature. The mucopolysaccharides of seed products, like the guar and locust bean gums of legumes, the seed coat of Plantago psyllium, the gums of the aloe leaf and certain cacti, or the modified root-derived starches that serve as gums or mucilage are all examples of nutrition stores that have an additional purpose related to their development. 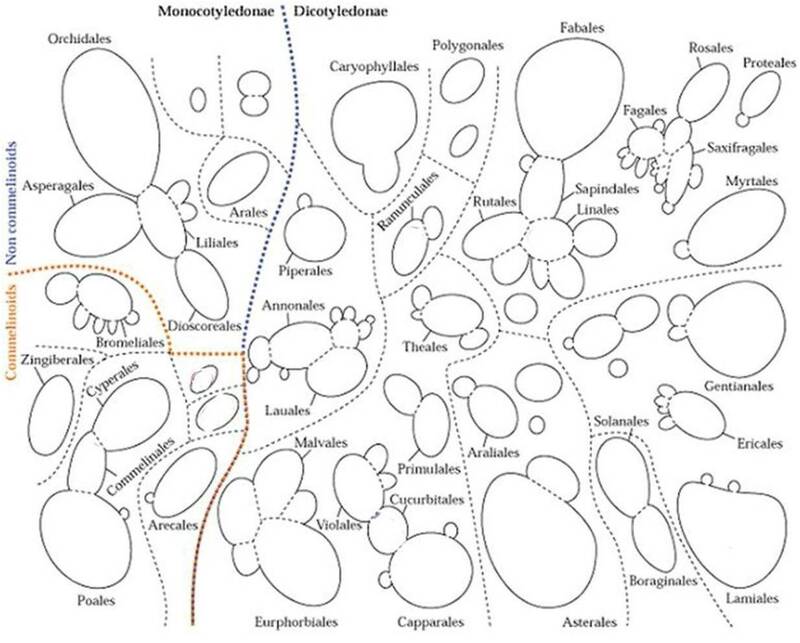 The ecology of gums, mucilage or mucopolysaccharides is fairly complex and relates to all possible levels of natural products significance (primary, to quaternary or level 4, such as the human evolved use of mucopolysaccharides for certain food and chemical industries). In the next figure I modified the Bates-Smith model slightly to incorporate more information and newer relationships that have since become better understood. Ellagitannins are produced using phenols as their building blocks. Therefore they are often referred to as polyphenolics. The phenolic nature results in a large number of -OH side groups or attachments. Since phenols themselves are aromatic molecules by nature, due to a resonance between the side groups along with the linkage bonds attaching two phenols together, we have the possibility of resonance influencing their character. Therefore they have some of the potential value for uses noted for polyphenolics, like the use of ellagitannic acids as dyes or pigments and protein-binding surface reactants used to treat leather as part of the tanning process. Exceptionally long molecules tend towards lower hv colors like red. The blackish look of the more complex tannins is due to considerable absorption of multiple frequencies induced by mixed frequency patterns. The structural diversity of ellagitannins increases the breadth of the antimicrobial activities that this complex set of molecules can have, involving fungi as well as bacteria. There is a protective effect of these molecules, due to their bitterness and “drying effect” or tanninization effect on oral and dermal mucosal membranes (slug skin for example). Other possible medico-chemical attributes include such activities as biomimetic (mimicry of other biological chemical components, such as steroids, prostaglandins, etc. ), immunomodulation, potential anti-cancer or carcinogenic effects at certain tissue interaction levels, and anti-nutrient, anti-metabolic reactivity with certain food chemicals. 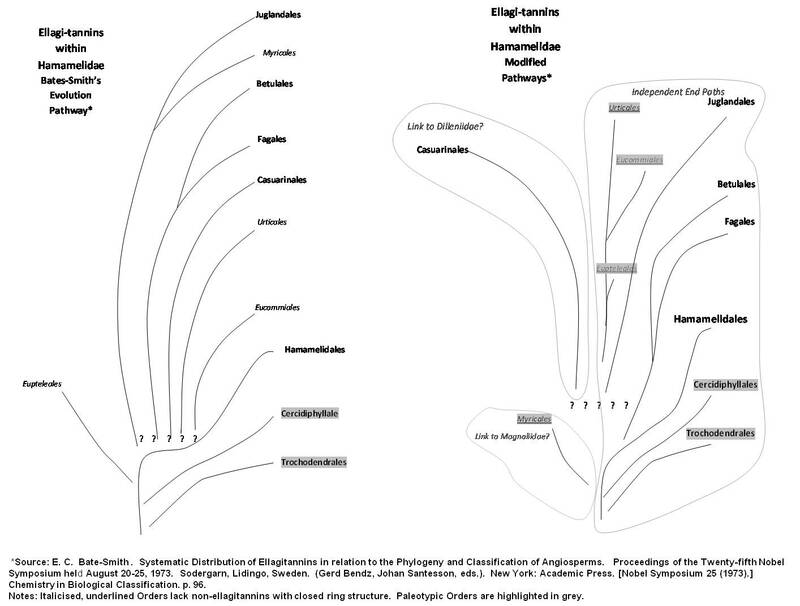 Arthur Cronquist’s method of dividing the Angiosperms-Dicots into Subclasses defines the following distribution of ellagitannin pathways (boxed names represent orders with ellagitannins). The level 3 value of ellagitannins are numerous. They are fairly reactive chemicals due to their polyphenols and have an ability to serve as protectants at numerous levels. Their purpose in protection can be defined by the tissues they are found in, such as gums, fruit, leaf, wood, and bark. 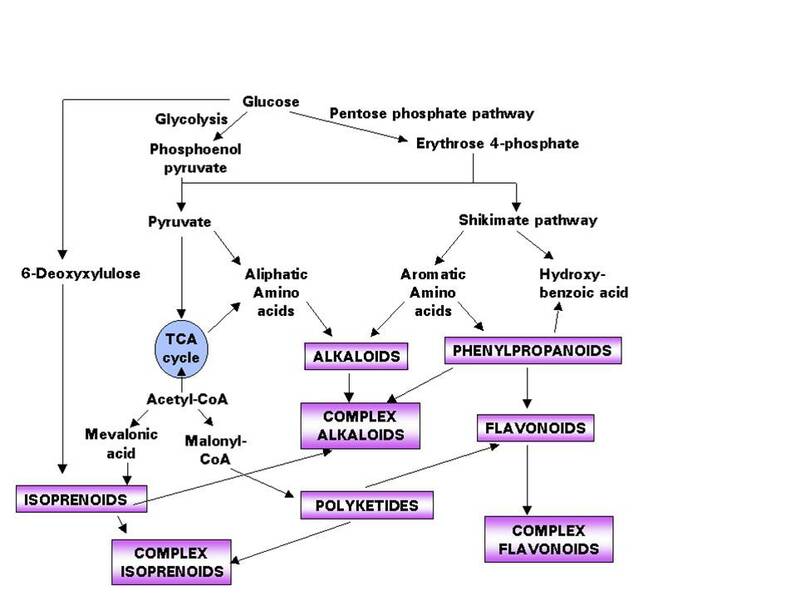 The fairly extensive number of polyphenol pathways found amongst the orders with these products suggests it might be fairly easy for plants to produce and modify already existing pathways to result in their synthesis. 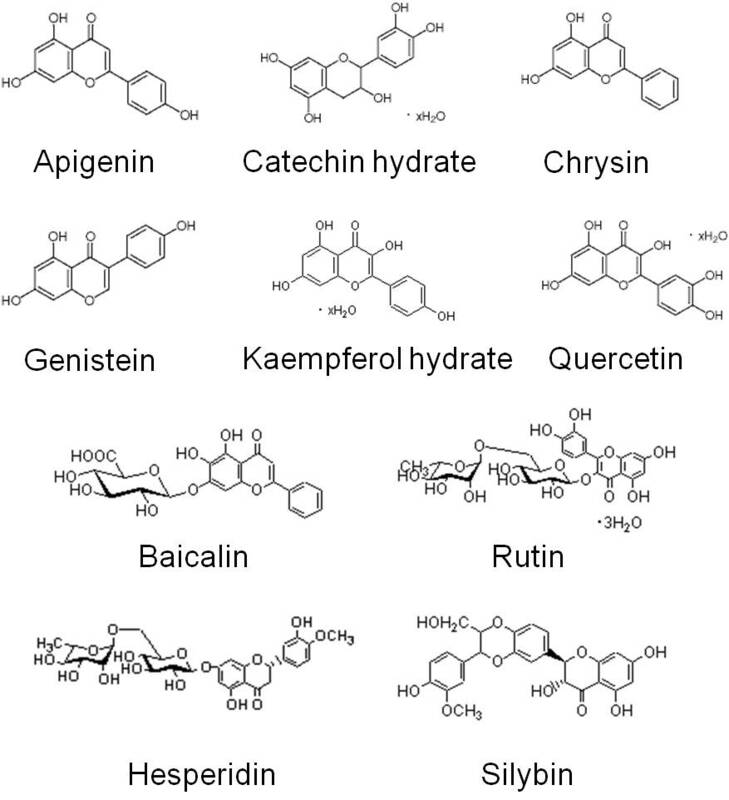 There are several more advance sections of the polyphenolics worth mentioning. 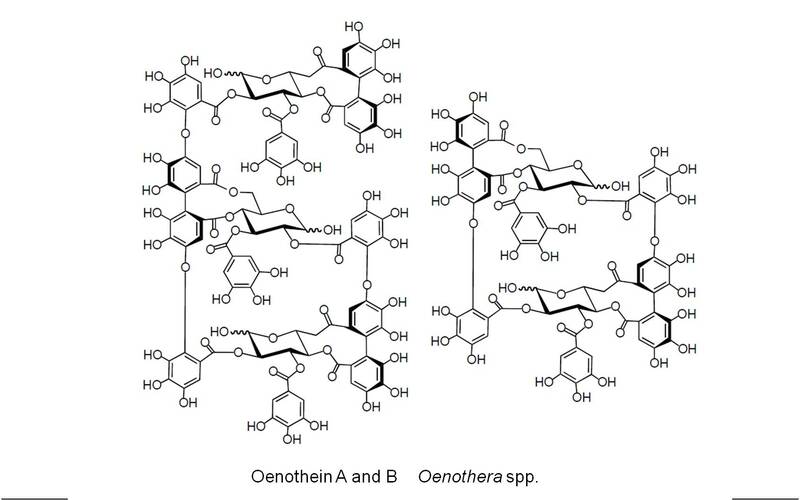 The often taxonomically puzzling Euphorbiales order with its unique phenolic toxins and co-carcinogens also produces these polyphenols of a fairly complex oligomeric form (essentially some of the largest polyphenols). 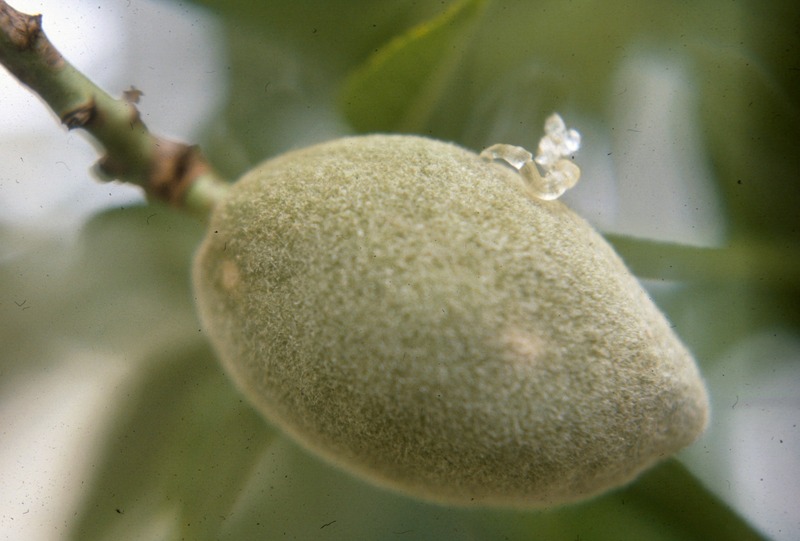 The tendency for oxidized polyphenols to be prevalent in Rosidae may be a result of the age of the Rosidae, as the link between paleogroups like Magnoliidae and Hamamelidae, but this oxidation step may also be a product of the diversification characteristic of this subclass. Whereas the highly diversified Asteridae bears a large numbers of species, Rosidae bears a large number of groups between species and subclass; more orders often implies more chemical diversification. 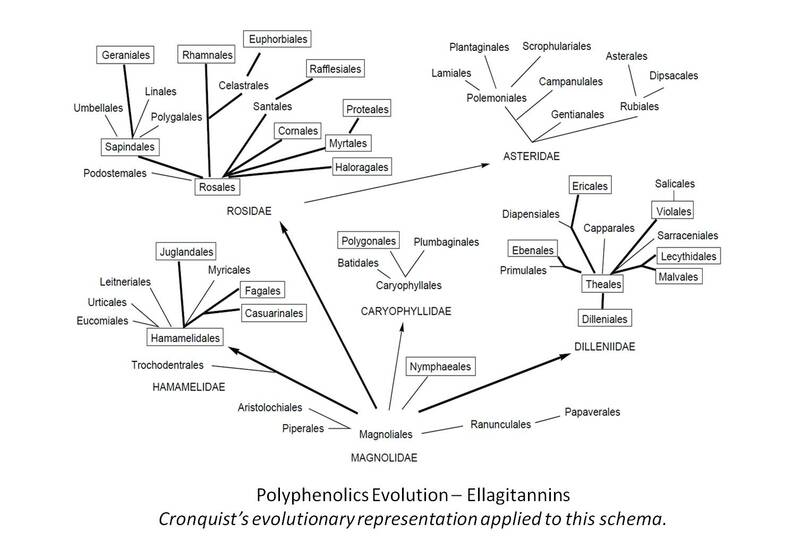 Equally important to note is the lack of ellagitannins in Asteridae. This rather drastic change in chemical content suggests there should be some intermediaries serving as Rosidae members with low ellagitannin content and some fairly non-Rosidae chemical similarities to Asteridae, of a fairly basic Asteridae group with some outlying Rosidae like chemical behaviors and morphology patterns. Such an example doesn’t immediately come to mind. 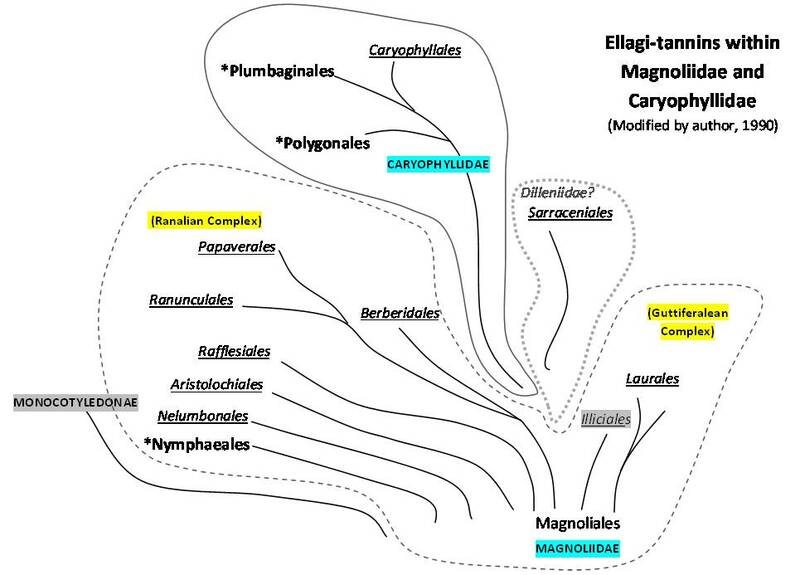 The total lack of ellagitannins in Asteridae has a cause and effect evolutionary significance that mimics the other major difference between these two subclasses–the predominance of lignification in the Rosidae and the lack of this woodiness in Asteridae. The most interesting way to interpret this is the modification of energy-utilizing chemical synthesis pathways that result in these major inter-subclass chemical differences. By eliminating the need to expend energy, nutrients and other chemical supplies on certain pathways, members of the Asteridae can perfect their chemical synthesis along other pathways. 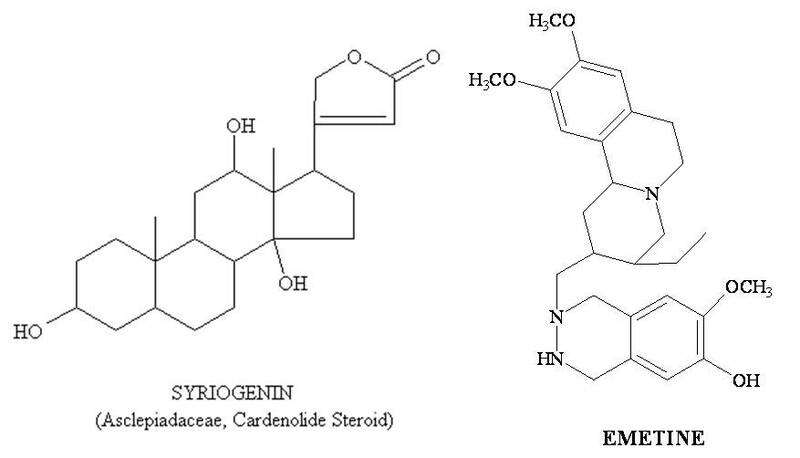 In this case, the Asteridae sacrificed the production of lignin products for the use of this energy to manufacture diverse alkaloids, and sacrificed the fairly primitive polyphenol pathways for the development of more complex terpenoid related routes leading to the production of iridoids and more complex steroids. Sacrificing the energy needed to produce polyphenols also enabled Asteridae to develop some fairly complex pathways that intertwine the products of two very different an unrelated paths, such as the merging of an alkaloid producing path with an iridoid path (seco-loganins). This led to the birth of the most toxic alkaloid series in plants. The Asteridae also became more successful with its sesquiterpene productivity, converting these products into sesquiterpene lactones. The diversification of chemical groups and numbers of chemicals, and types of chemical-ecology interventions these processes in turn led to at the species level, enabled Asteridae to produce fairly well adapted ecological relationships between plants and animals. In this way insect were able to develop their own manner of making better use of monoterpenes in the production of its own hormonal products (http://www.cyberlipid.org/simple/simp00042.htm) and the butterfly was able to incorporate the strong steroidal toxins into its ecological activities, thereby further defining its niche and ability to survive within that setting. In terms of level 4 human ecology features for these substances, they play roles in the medical and food industry. The Rubus species are popularized due to the ellagitannin content, even though many other fruits and plant parts contain these “medicinal” substances. (This is kind of like saying the ubiquitous steroids are exceptionally better in left over powder produced by the clove bud business, a very popular marketing strategy used for these sterols in the 1990s, which was actually just a new way to recycle waste materials and obtain a significant amount of earnings). One of the more impressive multi-level evolutionary pathways in plant products is the flavonoids pathway. In terms of Level3-Level4 approach, there are two major classes of flavonoids that can be defined based on their natural and human ecology value. There is a series of flavonoids that serve almost completely a natural coloring purpose, with limited human ecological value. These flavonoids, for whatever reason exist mostly due to natural selection, and are responsible for the color of fruit and flowers. The second utilization-based class of flavonoids pertains mostly to the flavonoids not present in a plant for simple color- or dye related purposes. 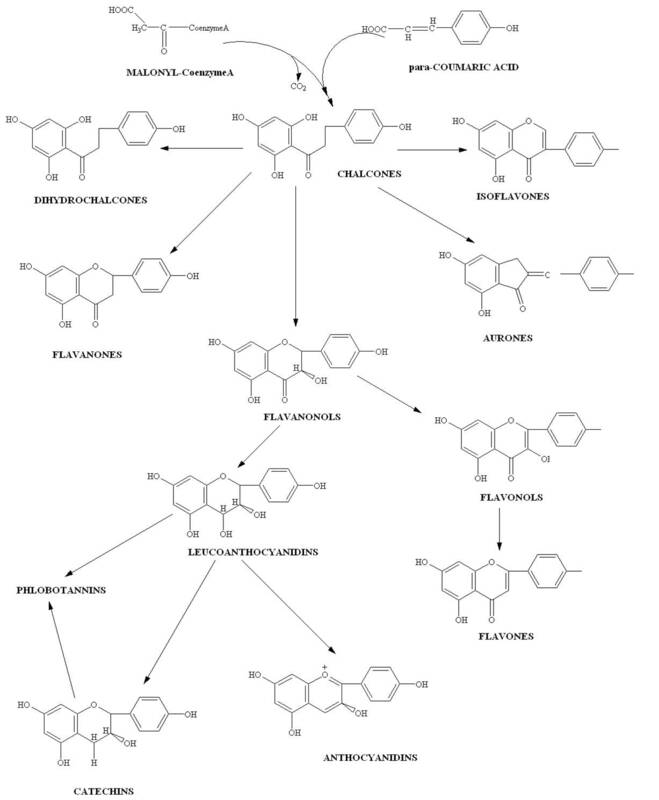 These are the flavonoids that often we search to find reasons for their production in an evolutionary and natural selection sense, and interesting often become the flavonoids to which we assign much stronger therapeutic reasoning to. The most basic examples of the flavonoids are those illustrated above, which for the most part are normally related to flower and fruit colors, but also have been assigned some additional biological and ecological reasons for their production and presence. Anthocyanins and anthoxanthins are red and yellow flower pigments. Phlobotannins and catechins are more tannin-like in form and effect, and are typically associated with natural benefits converted to human benefits, such as protection from excessive amounts of short wave ultraviolet light, free radical uptake, and the prevention of various forms of cancer. There are several flavonoids that stand out in terms of the impact of flavonoids on the herbal medical profession in general. Perhaps one of the first flavonoids to reach popularity was that of the hawthorn, crataegin, which herbalists assigned heart tonic effects to several decades ago, suggesting it helped reduce hypertension and assist in cardiac physiology related problems in general such as free-radical induced heart problems. The next most popular series of flavonoids to reach the market are quercetin, rutin, and hesperidin. The first was strongly linked to assisting the heart in its recovery from a heart attack. The second was often considered akin to the first, but was also given high value in terms of assisting the body as a blood tonic and a chemical that aided in the repair of damaged or bruised tissues. The third example was popularized as an anti-oxidant, and recommended as a cancer preventive based on the free radical theory of tumorigenesis. Finally, the most happenstance form of flavonoid-based medicine is the discovery that intravenous injection of silybin may be an effective deterrent to amanita-toxin induced liver failure. I call this happenstance due to the difficulty of attaching a chemical and physiological reasons for a relationship between Silybium and Amanita, in particular when it comes to the cyclooligopeptide toxin of Amanita. So how do these level 4 uses of flavonoids point to better understanding their level 3 values? There must be some sort of ecological value to these compounds. For the most part, they aren’t at all structural in nature like the cellulose-lignin association or serve in support of water-retention structure related purposes like the muciloid-cytoplasm-tissue morphology argument would suggest. The most common theory tries to relate flavonoid effects to the major effects colorful versions of these chemicals demonstrate–absorption of light energy and a prevention of free radicalization. But the more ecologically-minded physiological interpretations published about these chemicals define them as medicines secondary to their other more unique chemical virtues. There is a natural ecology reason for their existence, which at some point early in the history of the evolution of the compounds had little to do with their effect upon mankind during the current stage in species evolution. 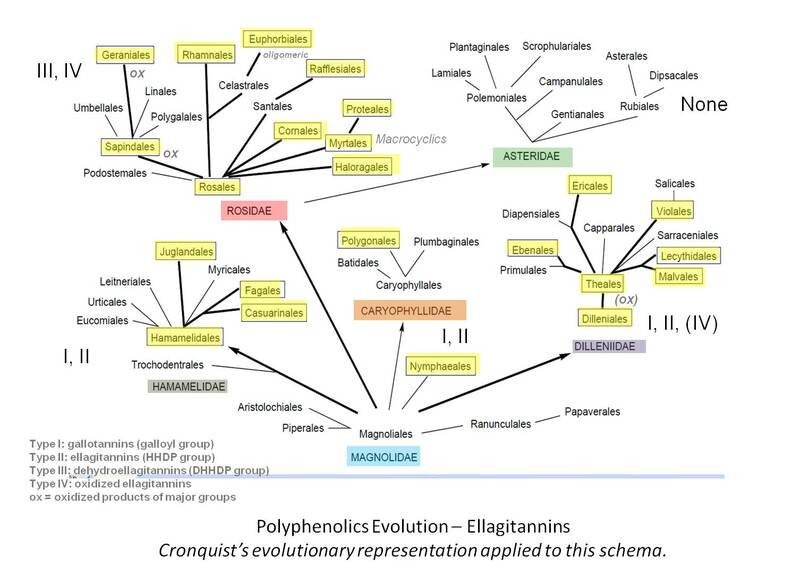 Flavonoids demonstrate a class of chemicals that evolved first to meet certain Level 1 or physiological needs (photochemistry), followed mostly by tertiary or Level 3 needs (organism-related evolutionary needs). A Level 2 or structural and plant-environmental interaction need has not been fully defined. Another physiological reason for flavonoid development has to do with the tannin-related chemistry–some of these were produced and came to serve as protectants in much the same way that other tannins do. This means once again, that this class of compounds developed in part to serve as antifeedants due to their bitter taste. In the case of some plants, there is an alternative pathway for capturing light for use in photosynthesis reactions. The flavonoids associated with this use are the dark blue to purple anthocyanins. This theory does have significant amounts of evidence out there detailing the methods in which these benefits are produced. In addition, there is ample evidence out there demonstrating these effects do occur. In certain plants, like oxalis and Solanum dulcamara, we find certain soils types and stress force the foliage to turn to a deep reddish-purple pattern. This is due to a reduction in chlorophyll and a relative increase in anthocyanins, for use in producing photon energy for survival purposes. It is possible that flavonoids were not developed for any single reason beyond their coloring effects, and that for various isolated reasons, certain plants retained or increased production of other flavonoid types due to the effects of a new pathway on long-term, high stress survival. There are rarely any toxicological effects of flavonoids to note. Their natural uses opposed some of the major uses of other feeding deterrents and anti-insect chemical groups like steroids, the irritating essential oils and iridoids, or the simple antifeedant toxins related to certain alkaloid groups. Level 2 and level 3 reasons for flavonoid evolution are evident, but the Level 3 reasons are the hardest to define in exact detail. Terpenes or isoprene compounds have a unique ecological history with plants. Some of the basic evidence reviewed about the evolution of these compounds suggests that they played a very important role in the survival of the first species to produce them, for which reason their production is very common throughout much of the Plant Kingdom. The work, in adjunct with other survival mechanisms out there, enable plants like conifers for example to grow to heights seeming beyond the osmotic and height-generated pressure limits being tall can present on water flow behavior and activity. One of the common questions often asked is how can a tall evergreen maintain sap flow in its highest structures? Natural laws suggest that the gravitational pressure on the fluids such as sap is going to make it a problem for the organism to maintain this viscous fluid at such heights. Some of the explanations we have given for this feat on behalf of the sequoia have been to the effect of claiming that the lateral openings of vessel cells in the xylem produce a staircase like of effect, increasing resistance downwards and thereby inhibiting easy flow of sap back down towards to earth’s surface due to frictional and angled flow resistance. The production of thick viscous fluids like those related to polyterpenes also serve in preventing this problem from interfering with development. This makes the largest most complex polyterpenes in conifers highly viscous and important additions for the plant with a role other than simply structural and physical in nature. These chemicals work to stabilize a moderately stabilized structural feature, enabling it to perform better under diverse environmental conditions, ranging from very cold to very hot. But relating the terpenes to ecology involves a totally different line of thinking, one alluded to by some of the terpene resin features. Terpenes interact with insect and other small animals and invertebrates. They can be quite irritating to respiratory passages and irritating to mucosal or very moist dermatological tissues, like the skin of a slug. Pouring a basic resin on a slug might only cause it tho slow down briefly in its attempts to move a cross a flat surface. Pouring a purified monoterpene on a slug will inevitably cause it to wrath in pain from the burning effect that is experienced. But terpenes ecologically serve more than just as simple irritants. Some terpenoids are antifungal and antibacterial, be they conifer related or not. The helps to prevent microbial invasion of living tissues. Many terpenes in plants, flowering or not, serve as deterrents to hanging around too long on a cell or tissue surface. Some essential oils for example are released for example by contact made by an organism crawling across the tissue surface with trigger hair cells, resulting the release of essential oils stored below. 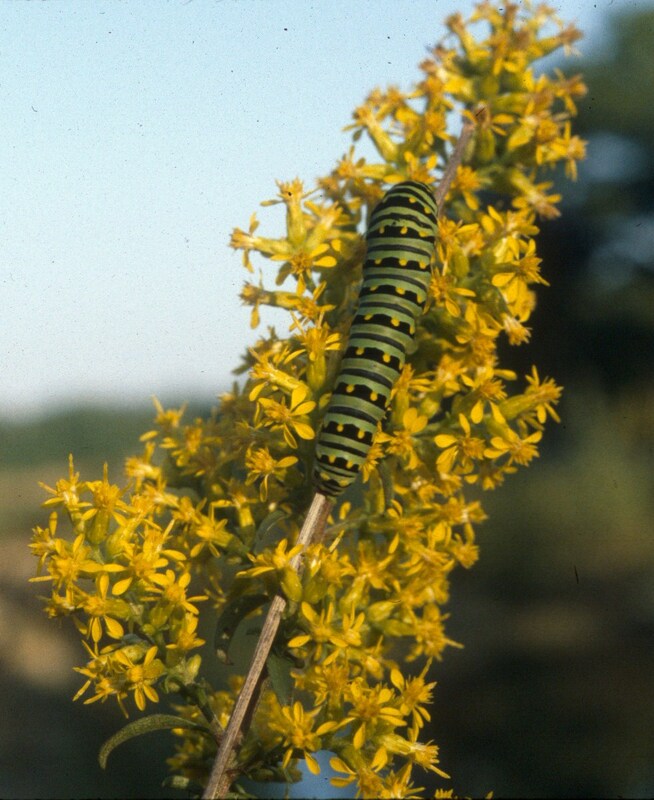 Others, as is well-known, serve as attractants of pollinators. Still others, serve as precursors to important hormones produced by insects. The ant sometimes requires terpenes to produce its terpene-based hormonal agents. Acting in the opposite direction, terpenes have the ability to react with certain hormone production pathways in insect, result in the prevention of certain growth or maturation hormone synthesis pathways in insects, for example dolichol. If we view the terpenoids as substances that evolved into their roles. There are two major paths we can define, along with a number of much smaller secondary paths in terms of chemical functionality. The most basic major pathway is the evolution of either oxygen-free or oxygen-containing terpenoid compounds. The more primitive Pinidae have oxygen-free terpenoids for the most part. The more evolved angiosperms have oxygen-bearing terpenoids and are very rich in these chemicals in terms of evolving additional pathways in order to improve upon their functionality. The other way to look at terpenoid paths is by ring-terpene unit-counts. There is a tendency for chemicals to evolve from small to large, and later to “de-evolve” into small compounds again that are more specific in their effects or ecological activities. For example, the most common pathway in some families is to produce terpenes from hemiterpene (C5), to monoterpene (C10) , to sesquiterpene (C15) status. At a basic energy-productivity level, we can say that if a plant decides to redirect some of this metabolic energy in another direction, that it can then take these sequiterpenes and convert them to phytosterols (usually C25) and saponins (C30). Some families demonstrate the need to make a choice in this evolutionary process–they have subfamily components that produce one or the other–such as the Asteraceae dividing into two subfamilies–one with a steroidal rich group and the other a terpene-terpene by-product (sesquiterpene lactone) rich group. Other families attempt to take both paths, and along the way somehow develop the way in which to redirect this portion of energy requirements for their metabolic pathways, perhaps by sacrificing another major pathway their predecessors once relied heavily upon. In this way we can argue that “de-evolution” took place when the lignosidae evolved into the herbaceae for some plant groups (using Russian plant evolutionist Armen Takhtajan’s line of reasoning). All of the metabolic energy that went into producing lignin-tannin-cellulose products was later redirected, thereby allowing for herbs to exist, but with much more protective chemicals produced by their tissues. A number of plant Subclasses produce the most complex terpenoid end products–latices (plural for latex). At first the existence of these end product appears highly advanced. One of the basic natural tendencies for phytochemical synthesis is for a plant to produce exceptionally large polymers based on its monomers. But the repetitive nature of this method of synthesis is not the only evolutionary feature. In some ways this semi-mechanistic conveyor belt like synthetic path is not at all that advanced. The side reactions related directly or indirectly to the overall latex production that this core polymer path is responsible for producing is where the evolution takes place ecologically. For example, the complex latex path of the Apocynoideae results in latices that are colored by flavonoids and phenolics and made toxic by alkaloids. 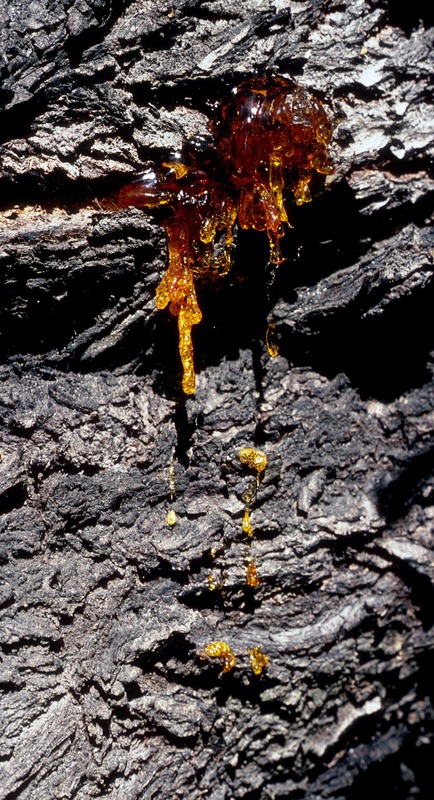 The latices of some Dilleniidae trees , especially the Sapotaceae (Order Ericales), result in gutta percha, rubber, and chicle latex, each of which has very different terpene building blocks and very different Level 4 applications. The shared production of the basic rubber producing of these plants is shared as well by totally different families like Asteraceae-subfamily Lactucoideae, and Euphorbiaceae-esp. Hevea brasiliensis, the Rubber Tree. So even though some level 2 application for the most complex terpenoids like the latices may exist, these compounds appear to serve primarily some evolutionary process in plant development. The smaller classes of these terpenoids–sterols and saponins–also have this Level 3 trait, along with the most basic and expected Level 1 (cell membrane-related) roles. Smaller terpenoids have the options of evolving into side product derivatives, such as simple terpene alkaloids, sesquiterpene lactones, iridoids, or even combined iridoid-amino acid produced alkaloidal end products. With each advancement along the natural pathway these chemical groups demonstrate, the more specialised their uses become and the more ecologically-defined they become. Plants start with the smallest of chemicals for building blocks and can evolve pathways using these exceptionally small building blocks to produce the largest of macromolecules. When small chemical size is maintained, the new chemical groups that are developed are more complex in structure and toxicological or biological effects. Terpenoids tend to evolve through all levels of potential biological, environmental, ecological and human ecological levels in plants. The most important indicators of their level of evolutionary success are those chemicals that they produce as a result of side reactions involving terpenoid intermediary and end products. Fixed Oils are the best example of the various stages of plant evolution I have defined elsewhere. They demonstrate the tendency for compound to evolve from small to large in size, simple to complex in basic chemical structure, unbranched to branched in terms of form and functionality, one to many in terms of multiple bond production, and basic to complex in terms of levels of biological, physiological, toxicological and medical applications. 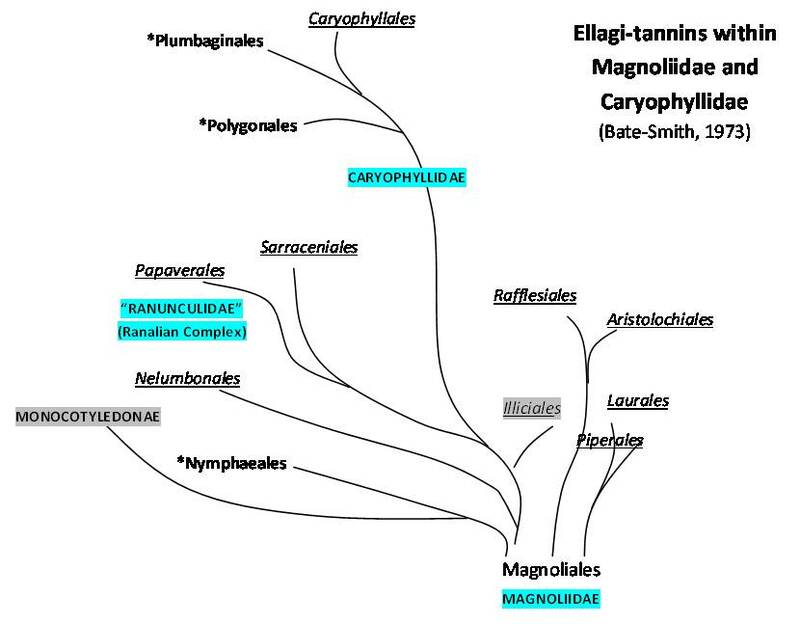 Perhaps the simplest example of a fixed oil in plants is the short chain saturated fatty acid myristic acid produced by the paleodicot Subclass Magnoliidae. The more complex examples of fixed oil end products include the exceptionally long chain unsaturated seed oil components from paleodicot families like Juglandaceae (the unsaturated long chain nut oils evolved during the cold climate periods of plant evolution), long chain oils found in highly advanced eudicot families like Umbelliferae (petroselenic acid), the highly evolved and toxic erucic acid in Cruciferae, the C-chain cyclic and toxic Flaucortiaceae oils (the antifungal, antileprosy oil gorlic and chaulmoogric acids), the vinyl-oils (C-C triple bonds) in Asteraceae, and the human-toxic phenolic side group fatty acid derivatives- the ursolic acids (Rutaceae-rutoideae-poison ivy oils). Fixed oils first served a biological energy storage and cell membrane related structural purpose for plants. This was followed by the development of certain environmentally-related, structurally important survival features such as the esterification or fusion of two of these molecules to produce leaf wax. The more advanced oils are those evolved as a result of specific ecological features. These oils tend to be specifically toxic and medicinal when they are in their most advanced forms, and can serve as seed protectors, resin-gum additives, leaf oils developed to deter predation or plant contact, antibacterials, antifungals, and other forms of protection for reasons related to natural selection. The fixed oils are planned for review in detail on another page at this site.